On the first day of the conference Canada won not only the gold, but also the silver and bronze Fossil of the Day awards. In the past year we have backed off of a weak target to adopt an even weaker one. Our government switched to an even more obstructionist Environment Minister. Our unelected senators killed our only climate legislation, which had already been passed in the House of Commons, without even debating it. 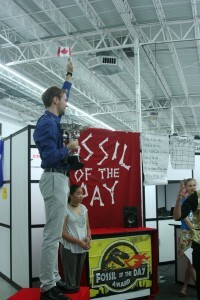 And we even went so far as to lobby against other countries’ domestic clean energy policies. Of all the fire breathing dragon governments, ours is clearly the best at committing the world to further catastrophic climate change, and the tar sands project is the crude that fuels it. The tar sands, a project that is poisoning the fresh water that downstream communities rely on, is planned to rip up a area of boreal forest larger than England, and is causing elevated cancer rates at processing plants as far away as Sarnia and Houston, are Canada’s fastest growing source of emissions and a main reason that our government is pulling us further away from a healthy future (and present) everyday. So how do we tackle the growing monstrosity that is the tar sands? The Canadian and Alberta governments are approving tailings ponds with three sides, meaning that toxic sludge will just flow into the Alberta Muskeg. Moreover, with support from multiple political parties, they are throwing billions of dollars of subsidies into “greening” the tar sands through expensive and unproven carbon and capture technology and misleading PR campaigns. Both Canadian and International financial institutions are investing billions of dollars into supporting this dangerous project. And more and more workers are being pulled from their home communities as resources and capital are centralized in expanding the dirty megaproject instead of supporting community projects across the country. It would seem as if we are fighting a losing battle. However, like the Hobbits and their comrades who worked together to slay Smaug the dragon, everyday people are joining forces to confront the tar sands and its impacts in their communities. Grassroots organizing cools the planet. This summer just outside of the G20 conference, where governments decided to increase austerity measures, moving resources away from social services and towards corporations, like those that fuel the tar sands operations, people said loud and clear that, among other important messages, Indigenous rights need to be respected and the tar sands gigaproject needs to be shut down. In the lead up to the conference, people, ranging from students to grannies, took a “Toxic Tour” around downtown Toronto, exposing the tar sands and the corporations, such as the Royal Bank of Canada, supporting them. 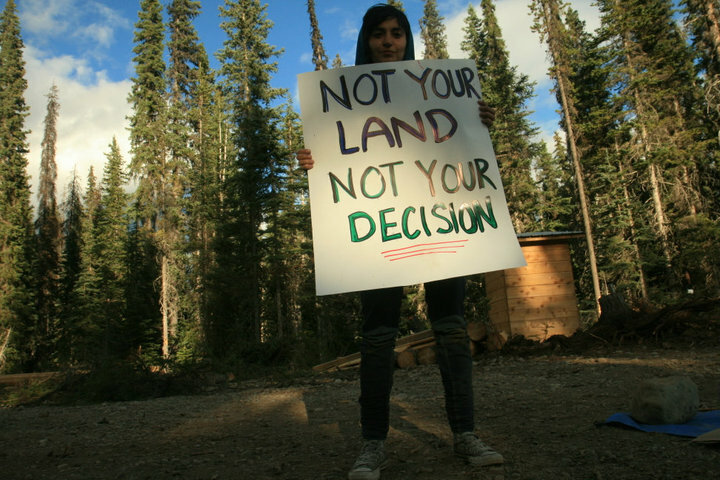 The following day, indigenous peoples led an “Indigenous Day of Action” calling for treaties to be respect and for free, prior, and informed consent on development in their territory. By the end of the weekend, thousands turned up to march, demonstrating that they were not going to sit by as the tar sands, or the systems and ideologies supporting them, are expanded. 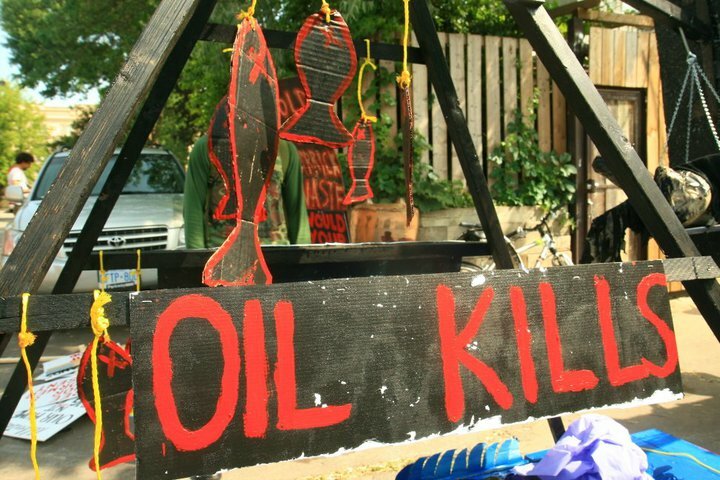 Only a few weeks later, the communities of Wet’Suwet’En and Unis’Toten invited allies to a training camp to build on their resistance to Enbridge’s Northern Gateway pipeline which is planned to cut through their territory. All fifty First Nations have opposed the pipeline, which would transport tar sands crude to the BC coast to be shipped to Asia for refinement, and hundreds have come together at several marches to affirm their opposition. 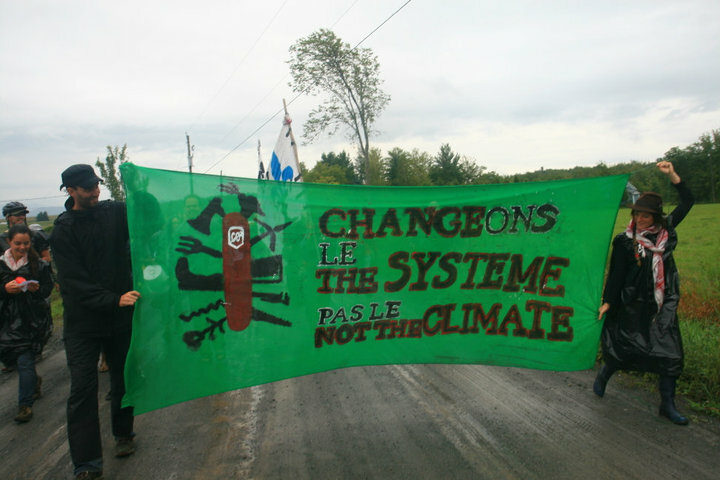 On the other side of the country, Climate Justice Montreal hosted a two week long Climate Action camp to build a grassroots climate justice movement and resist the shipping of tar sands crude east through the Trailbreaker pipeline, which would flow all the way across the country, through Quebec, and to the northern US. Even the major of Dunham, Quebec, a community that tar sands crude would flow through came out to support the movement to stop the flow of destruction. Finally, only two weeks ago, in the nation’s capital, concerned community members who organize with Climate Justice Ottawa dropped a banner and started a people’s assembly for climate justice in the parliament buildings. They came with the message that if politicians were not going to get to work for climate justice, they would, calling for all people in Canada to be included in the creation of a long term action plan for climate justice. They also issued five demands that included the ending of oil subsidies and a full moratorium on tar sands development, including just transitions for workers. In Canada and abroad, people from all walks of life are uniting and building a movement to shut down the tar sands, defeating the fire breathing dragon and cooling the planet!